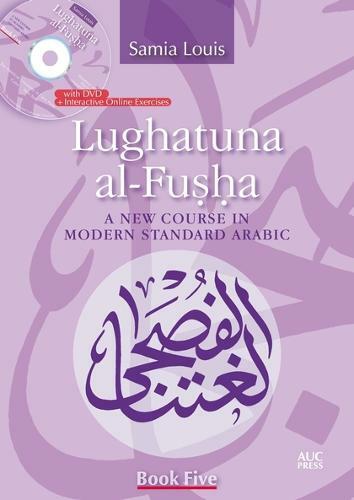 Modern Standard Arabic (MSA) is the literary language of today's books, media, and formal communication throughout the Arab world, the region's principal shared language of written and official discourse. The fifth book in this new series for the classroom is designed for the Advanced levels, the low-mid stages of the ACTFL proficiency level, and C1 in the Common European Framework for Arabic learners. The aim of this book is to help students to read and write long and complex factual and literary texts in order to appreciate different writing styles. The students' facility with sentence structure and vocabulary is increased by reading newspapers and listening to news broadcasts, and by writing about real-life interests such as social, economic, political, and gender issues, technological advancements, and education. The chapters guide students through the gradual acquisition of vocabulary and grammar. Exercises at the end of each chapter cover all essential skills and translation, with emphasis on reading and writing. The accompanying DVD includes audio material for all listening activities, dialogs, and reading exercises. The book is further supported by online interactive reading, writing, and grammar drills.